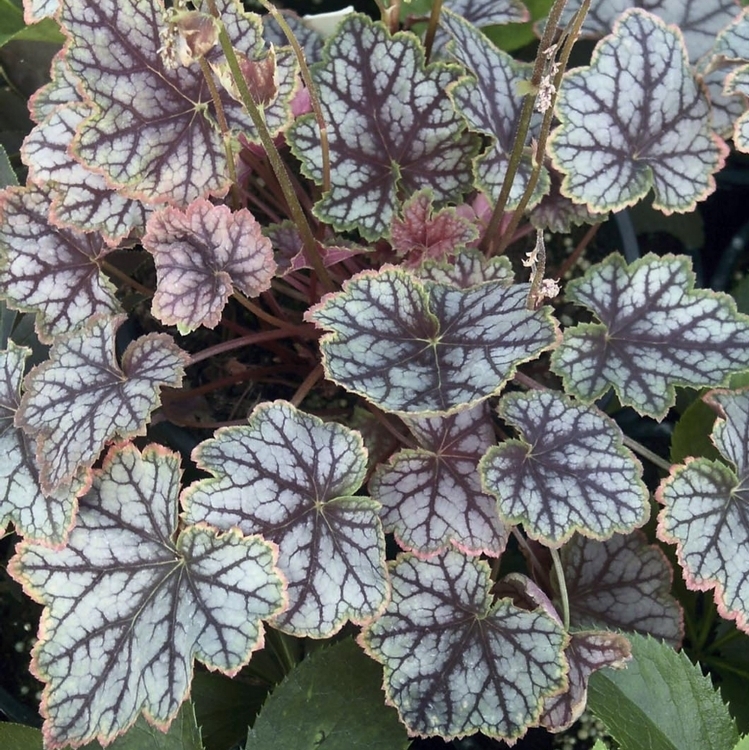 Heuchera villosa 'Magic Color'. This European import is described as a "very colorful variety with many changes through the season. 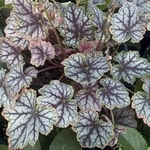 Leaves emerge bright-green with red veins and gold edges, then go through a unique pink stage before changing to silver with purple veins and red edges. Soil needs to be dry later in the season to bring out the red edge. PPAF.